The Tanaan Jungle which was added in patch 6.2 brings with it 15 new pet battles: The Tiny Terrors of Tanaan! These pets are similar to the Beasts of Fable, yet have different mechanics with them. Instead of being very strong on their own they bring some colleagues from the area around them, just like any other pet battle out in the wild. Those are chosen randomly which makes the fight a bit different every single time. The legendary pets themselves always face you up first, and they have their very own skillsets. Most notably they all share one ability though: Fel Corruption. 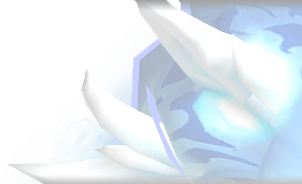 Not only does it damage your whole team considerably, but it also buffs the enemy pets in the back line massively. With the three round cooldown it means you need to finish the legendary pet fast or this spell alone will dismantle your team. 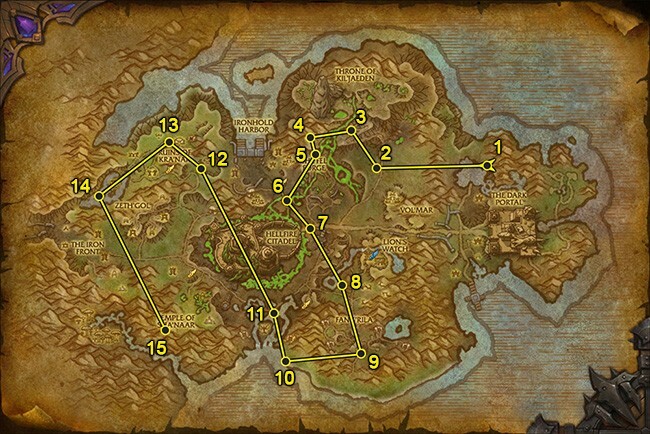 On the right you will find a suggested route that you can follow to farm the Terrors. It works both on ground as well as with a flying mount, no matter if you start from the Horde or Alliance camp. The menu on the left follows the same order. If you prefer to have this in Macros, check out this amazing macro set created by Prudentius. Once you beat all of the Terrors of Tanaan, a new achievement will be yours: Tiny Terrors in Tanaan.